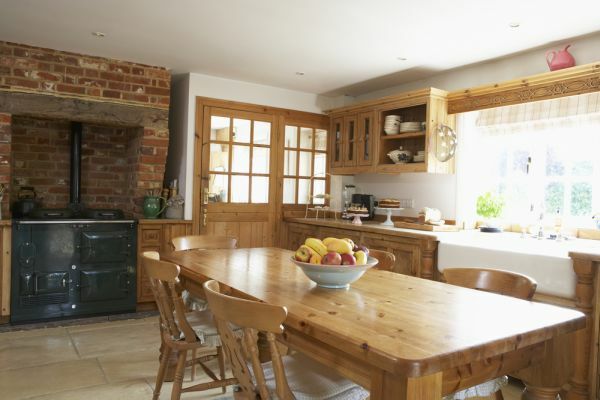 Whether you are renovating or starting from scratch, your kitchen can have the feel of a country farmhouse with all the modern conveniences available today. 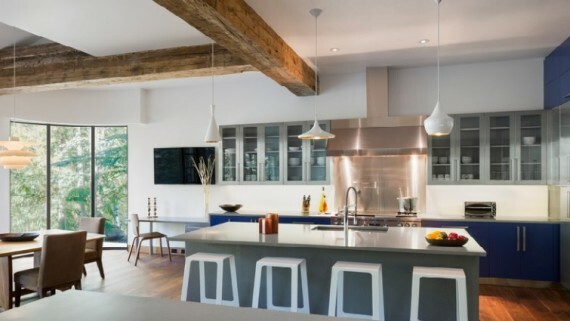 By infusing style with practicality, you can create functional space while preserving the casual coziness found in a rustic kitchen. Begin with a solid idea. If you are working with a designer and can only give them a vague idea of what you like, you leave it open to interpretation and may get something very different than what you want. You can take two identical spaces and find they look nothing alike in the finished product. It’s all in the interpretation. Make sure you plan and not just decorate. A kitchen for a 6 foot cook will have different needs than for a 5 foot cook. Layout is imperative to the traffic patterns in the home and flow is vital and best decided before any construction is done. Avoid going back to the drawing board; know exactly what the project will cost before you begin. 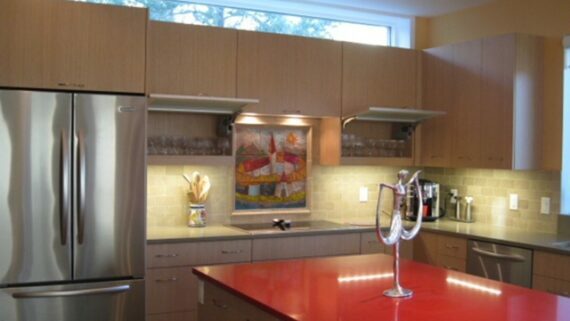 Cabinets can take up to half of your budget, with much of the expense in the cabinet doors. New appliances will be an unavoidable cost, but choosing energy efficient appliances will save you in the long run and some are even eligible for utility rebate programs. When designing your favorite room in the house, it’s all in the details. Modern appliances can disguise their practical purpose when blended with traditional looks. Floors, cabinets and appliances are the most important elements in the design and an almost endless array of possibilities are available. 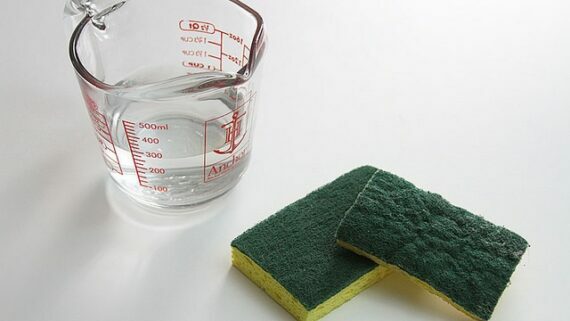 Colored appliances can be trendy and expensive and may run the risk of being discontinued. If selling is a concern, it might be wise to stick to the basics. Colored accents and small appliances can be infused to complement standard white, black and stainless steel appliances to bring personality to an otherwise standard scheme. Kitchen Aid offers over 20 colors in its Artisan tilt head standing mixer, a favorite of most cooks. Airy open floor plans, working islands and lots of counter space allow a country feel while allowing for cooking and entertaining needs. Whimsical and themed decorations add warmth and personality to the room. Cabinets are a sizable investment. Standard cabinets will be cheaper than custom, and sometimes the best route is a combination of both custom and standard. A good designer can make stock cabinets seem custom with the right doors and hardware, or even convert an antique piece of furniture into a sink basin for a freestanding look. Knobs and pulls are a bigger decision than you might think and the right ones can make the room stand out. Look around— you may not find everything you are looking for all in one place. Consider cabinet finishes, lighting and appliances when choosing your hardware and keep in mind that you can use different finishes to pull a look together. Countertops are available in just about every color and style. 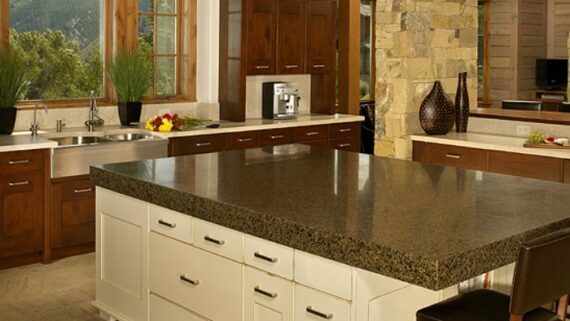 Granite is a favorite for the kitchen work surface. As the hardest of all natural stones, it is scratch, heat and stain resistant and available in a huge selection of colors. Soapstone, quartz, cement and even eco-friendly options can work with almost any style. The big custom farmhouse sink is available in everything from steel to composite granite to hammered copper and quartz, although some require special care and maintenance. When choosing a faucet, beauty and convenience should be considered. A pull out spray wand is a valuable tool for many everyday jobs. Flooring in ceramic and terra cotta in glossy or matte are resilient and durable and found in every color and style imaginable. Cork is a new favorite and a natural shock absorber, making standing work more comfortable, and dishes have less chance of shattering when dropped. 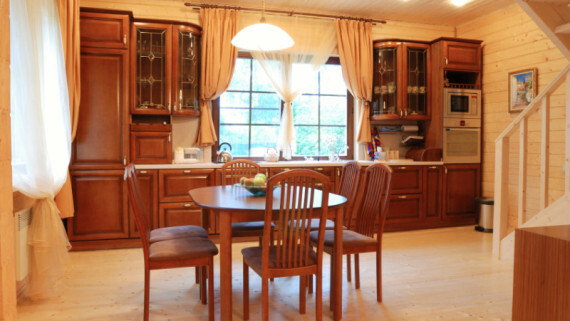 Wood floors are making a comeback in the kitchen, but can be pricey. Laminate can mimic wood beautifully, but costs significantly less. Comfort, beauty and convenience can come together in one room. Modern appliances with vintage looks are right at home with rustic charm, and storage and display can have equal consideration. Modern and function, graceful and warm; the possibilities are endless whether you are creating or renovating. Apron Sinks: A Fad Or A Lasting Kitchen Tradition?